Malcolm MacDonald, a lawyer in Edinburgh, unexpectedly inherits his father's title of Laird of Dunbronach, forcing him to return to a place he hasn't seen since he was a small child. To gain the trust of a wary clan, Malcolm must act upon their insistence that he cast aside his English betrothed and marry a Highlander. However, they have one condition-no lasses of the barbaric clan MacLeod. When he finds an unconscious woman in the sea, he brings her back to his clan but not before doing the one thing that could save her life-hiding her all too telling MacLeod plaid. When she wakes with no memory of who she is, Malcolm vows to keep the little he knows about her identity a secret. 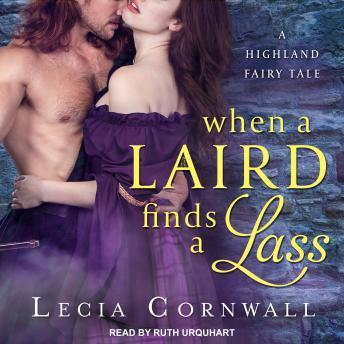 As new dangers threaten his clan, the mysterious lass teaches Malcolm some very important lessons about how to be a Highlander and a laird.